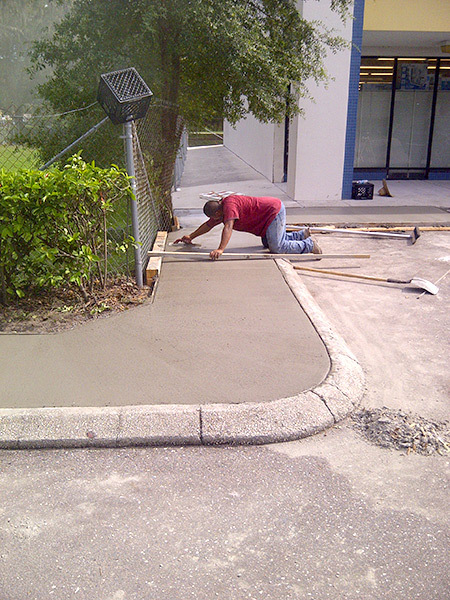 For concrete and pavement repair and many other commercial paving services, Tampa, FL businesses can rely on the work from Asphalt and Concrete Parking Lot Maintenance (ACPLM). We offer the best services and customer service, which is how we’ve been able to rack up over 50 years of combined industry experience. 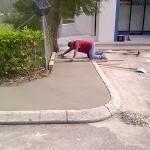 We’re fully licensed and insured for all of your commercial asphalt needs throughout the entire state of Florida. We use state-of-the-art technology to get the right level of strength you need. 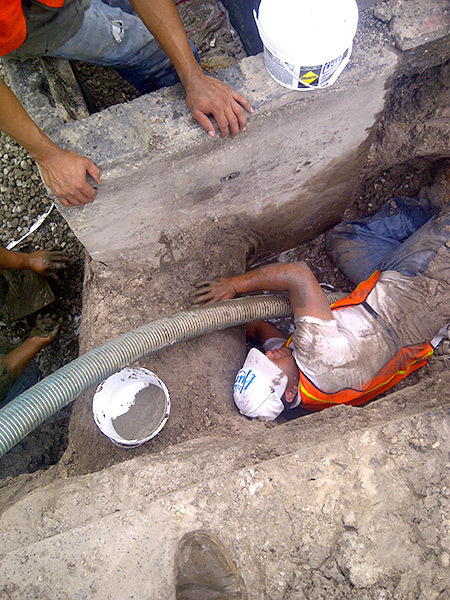 Our employees are trained, experienced, and dedicated to delivering quality concrete services. This process, which is also called “mix and mill,” is a process by which we can repair roads or parking lots that suffer from base problems. 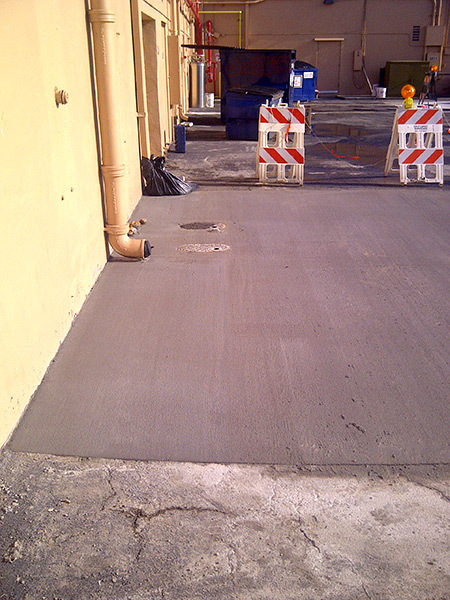 We’re able to utilize the same materials already present by regrading and creating a new, uncompromised base. 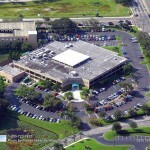 Many companies are starting to expand their locations or begin new ventures. 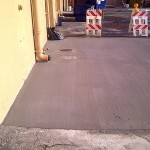 Whether you need to pour a new parking lot or want concrete and pavement repair on your new location, we can help. 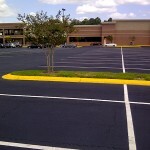 Sealing your parking lot every 2-3 years can double its lifespan. 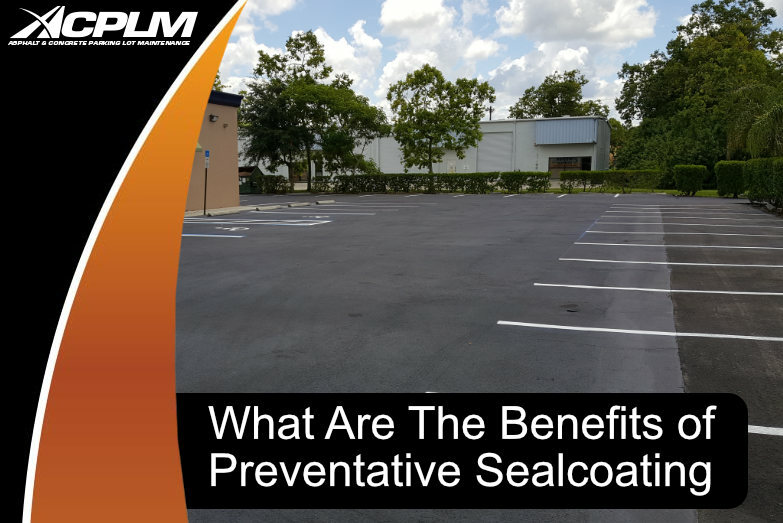 This process helps protect your lot from oil, gas, water penetration, and UV rays from the sun. 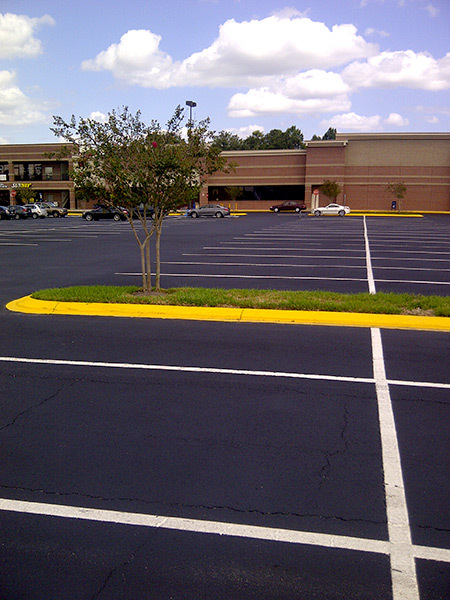 Combining form and function, striping your parking lot maximizes its curb appeal, sets the flow of traffic, and alerts your clients as to open and restricted parking spaces. 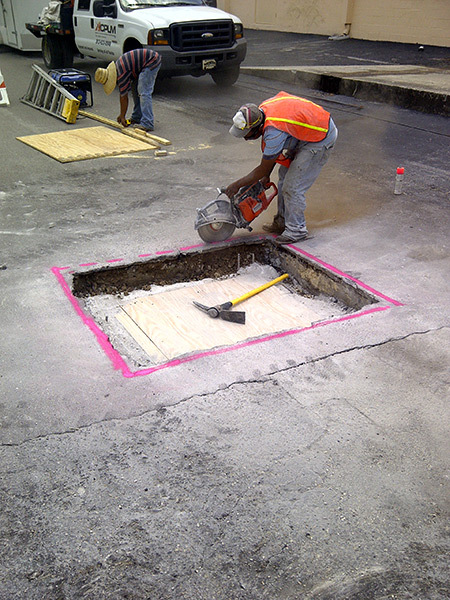 Other services include patching, overlays, crack filling, trench repairs, excavation, profile and wedge million, petromat installations, ADA curb cut ramps, concrete grinding, dumpster pads, and drain box repairs. 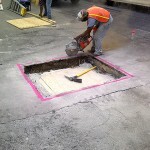 All of our services, including concrete and pavement repair, are available for a free consultation and estimate by our knowledgeable consultants at Asphalt and Concrete Parking Lot Maintenance (ACPLM). 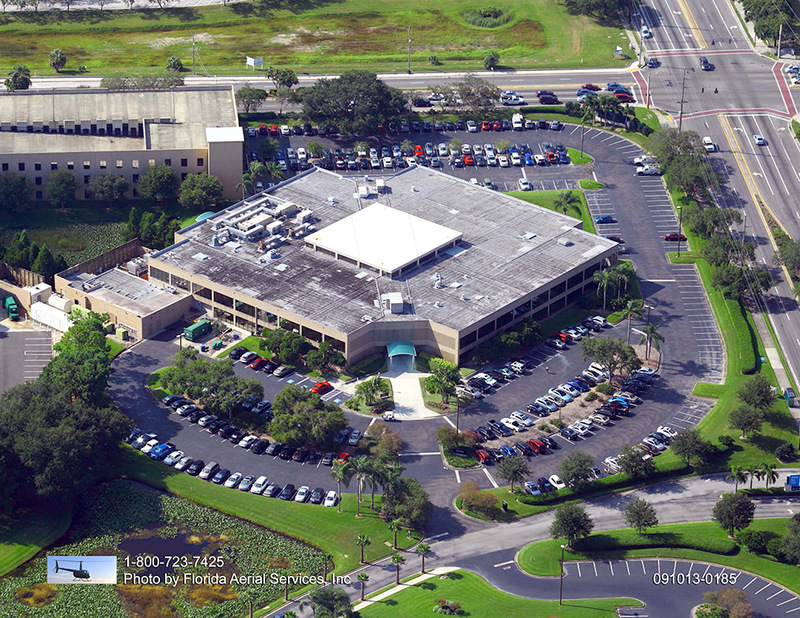 For commercial jobs in Tampa, FL and the surrounding area, contact us today!